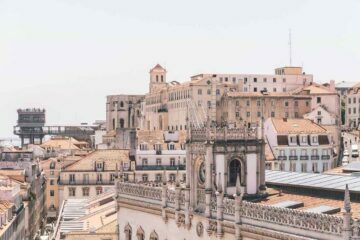 Do you know when the cheapest time to travel on budget in Europe is? 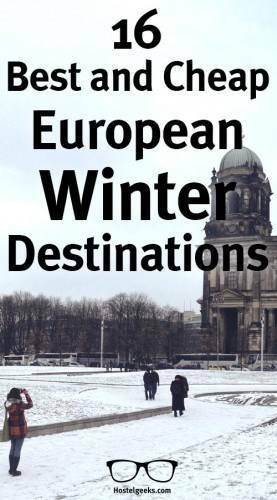 Winter is a great time to explore Europe on a shoestring budget. Sure, during summer the gardens are open, the parks are green, and the beaches are crowded. But during a European winter you have the unique chance to see a more „local“ Europe as less tourists are on their way. The prices are down and the hostels are cheaper than ever before. Even many of the 5 Star Hostels! 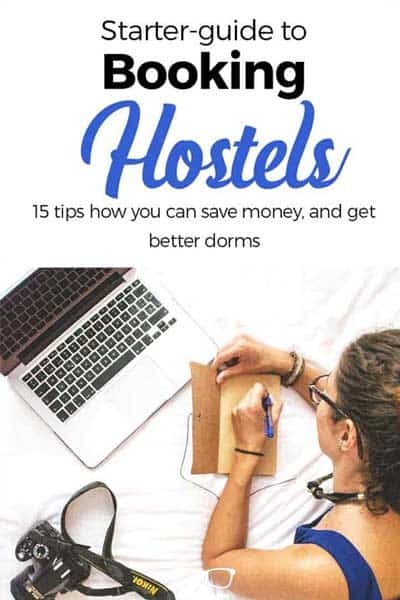 Combining this time of year with the 15 tips for booking hostels, and cheap flights searchers, you will save a fortune! Update: find 25 more European Winter Destinations, including map, packing list and budget estimation. This list includes water sport, diving, van life and amazing beaches. Sure, the weather is cold, it can be snowy, maybe even rainy. And still, there are many events happening during European winter you can enjoy. We have created a list of 16 beautiful and cheap winter destinations we think you should check out. Plus you will find a list of activities and festivals during European Winter. First, let’s check that you packed everything you need with the smartest travel packing list. Looking for cheap flights to, well, anywhere in the world? Have a close look at Kiwi.com. 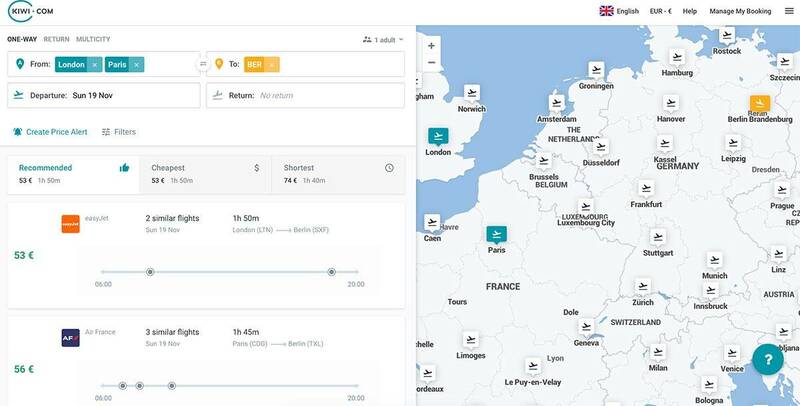 We just discovered this incredibly awesome search engine for flights. You can search with a date range and even with a radius search. This makes it incredible easy now to get an idea of cheap destinations to fly to. You can even insert a radius for departing cities. I just love this new toy! Have a look yourself: Here is our full review of Kiwi as a flight booking engine. It is the European sports capital. We enjoyed it 100%, and so will you. Whether you come here during Winter or Summer, you can join endless adrenaline-filled activities. Action packed and beautiful nature to soak in. We enjoyed hiking, paragliding, kayaking on the lake. That’s more something for the warmer months. We even went up the famous Schilthorn, known from a James Bond movie. Find a list of all activities here. Book a flight to Zürich, Geneva, Bern or Milan. With Kiwi.com you can draw a circle around Interlaken. It will show you the cheapest air fare in the area. From there you have to take the train or rent a car directly. You can also come easily to Interlaken by car. If you are here for the sports activities, you may not need a car. Many of the tour providers offer pick-up service. Many tourists take the Flixbus around Europe. It is a network of buses across Europe. There is plenty of hotels and apartments to choose from. Here you can find all hostels in Interlaken. We wrote also a guide to the coolest and best hostels in Switzerland. In Interlaken, we highlight Backpackers Villa Sonnenhof (here is our review). It is the only 5 Star Hostel in town. We got you a 5% discount at the Backpackers Villa Sonnenhof – no promo code needed! This discount comes in pretty handy, right? How to apply the discount? All you need to do is booking directly through this provided link. The discount will be applied directly. Prague in summer, or Prague in winter? The city of Prague is obviously different depending on the time of year. We had the chance to enjoy both seasonal times and in winter it was freezing cold, very romantic and less crowded. We visited the Prague Castle and only saw 8 more tourists around. It looked even more stunning. Not into Castles? There is a lot more to it. Find all activities and tours here. When heading to Prague, make sure you check out first the 5 Things in Prague to avoid! Another advantage of Prague in winter are the bars. When it is really, really cold, you can always jump into a bar or café, of which there are many cool ones to choose from! Last but not least: We have a fantastic winter activity in Prague for you! Czech out the Escape Room Nuclear Bunker in Prague. A storytelling real-life game to solve puzzles and riddles. Big plus: It is indoor, so it will be warm! Prague has its own airport. Many airlines offer this destination. It is also well connected by train. Hence, it is easy to get here! I would not come with a car to Prague, it’s not easy to park downtown and you don’t need a car here. Have a look on the cheapest rates by comparing airlines at Skyscanner and Kiwi. Kiwi.com is especially amazing. You can select a date-range. Let’s say the full month of February. It will show you all best options. The prices for hostels and hotels in Prague are also lower than usual during the winter period. As there are less tourists we recommend to stay at a place offering cool social events such as the Mosaic House in Prague. It is the only 5 Star Hostel in the city. After a long day exploring the cold air of Prague, you will come back to the hostel for concerts, karaoke shows, and more exciting social events. 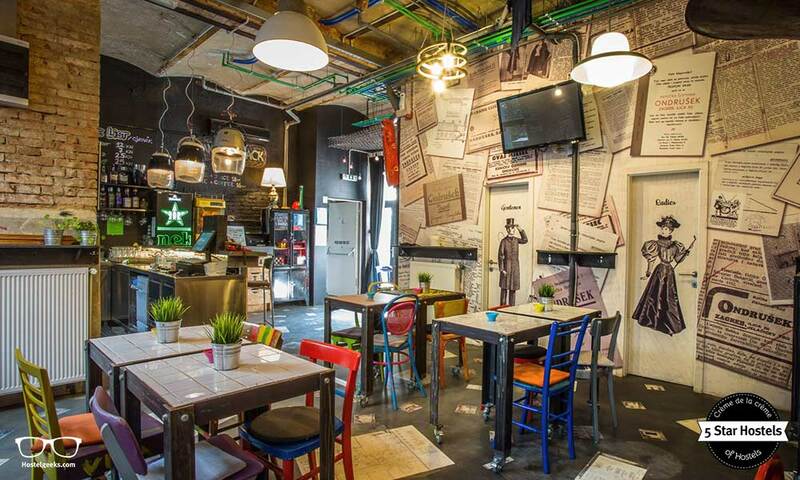 Find our guide to 3 best hostels in Prague here. 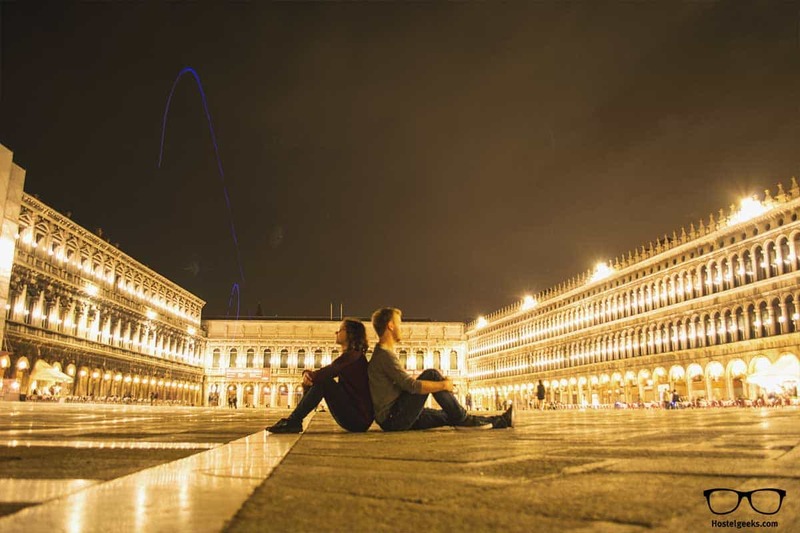 Have a romantic city break. Airbnb is great to get a full, stylish apartment. 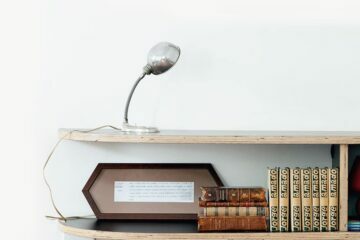 Here’s our guide on how to use Airbnb. And here’s a 35€ Discount for your first stay. 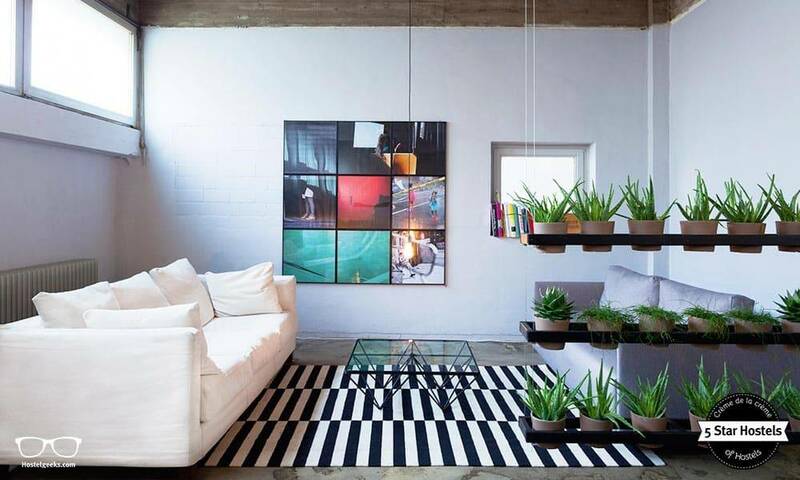 An apartment is your best bet. We love Airbnb for this. Remember to get the airbnb discount above. 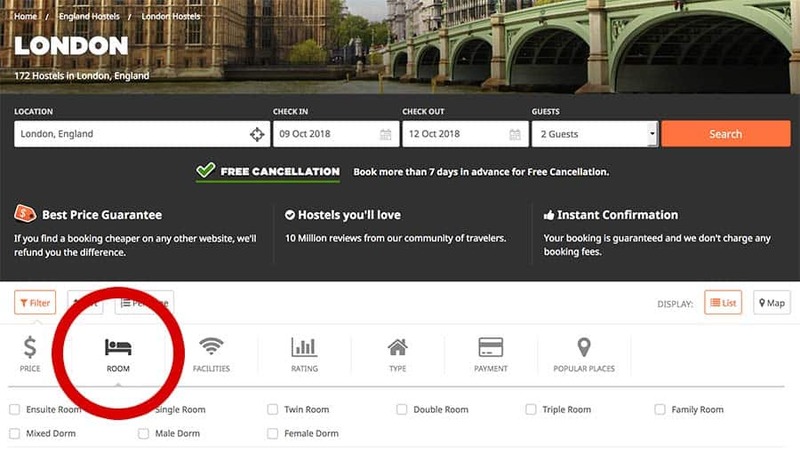 You can also book with Booking.com This is recommend since you can cancel for free. Find all apartments here. The #1 luxury option is Alchymist Prague Castle Suites. It lets you travel back in time, just look at the photos! Compare all luxury and premium hotels in Prague here. It is cozy and very affordable, making Prague a top European winter destination. Looks cold, right?! 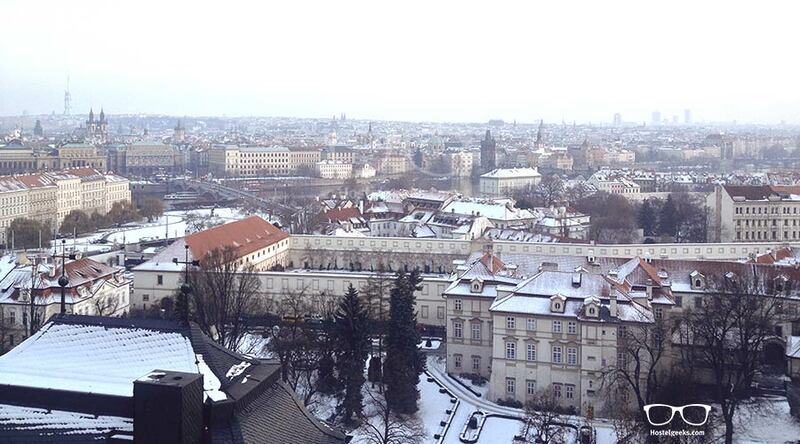 This winter photo of Prague was taken by us back in 2011. Party and Fiesta! But also perfect for a romantic city break. Budapest is known for its great nightlife, beautiful architecture, and the numerous spa’s across the city. 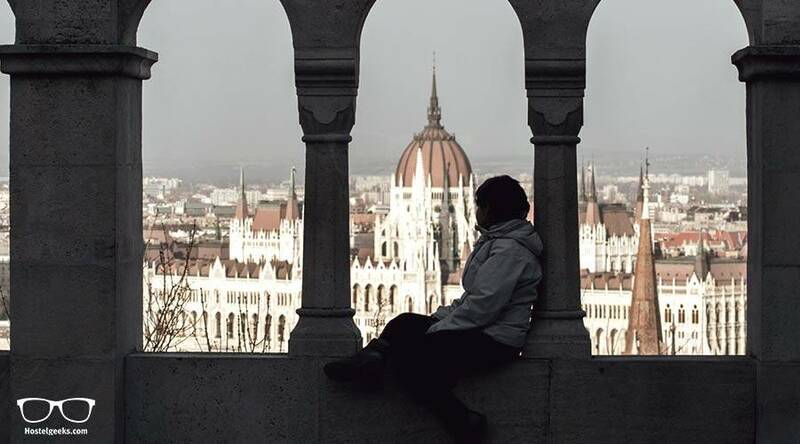 The first time we visited Budapest was in February and we had the best time! We even went to Szechenyi Spa, the biggest outdoor spa in Budapest. Although there was snow everywhere, we had great fun jumping from one hot tub to another. You can get your tickets for the outdoor spa here. You can even get a skip-the-line ticket for the spa. We visited the Museum of Terror, had a drink at rural bars and got lost in the famous nightlife. Make sure you join a pub crawl as well! It’s only 15€. The airport is very well-connected. You can come here fast and easy from all major cities like Berlin, Amsterdam, Paris. Find cheapest rates by comparing airlines at Skyscanner and Kiwi. The train connection is also very popular. The train takes you around the country. Especially a train ride from Vienna is quite scenic. The prices are even lower than in Summer, and as the city remains popular throughout the year, you will easily meet people in hostels as well as in the bars. Check out the Maverick City Lodge and Maverick Hostel. The prices plus design will knock off your socks! Read our reviews here. Here’s our handwritten guide for the best hostels in Budapest – all compared + map! Budapest is great for couples. Relax in a spa, dine in fine restaurants and have a good time in one of the many bars out there. As for accommodation, here you can find the top hotels to choose from. An apartment is a great option for families and friends. There are plenty to choose from. Get one located around the parliament. This is the main area, and you can easily get around. Find all apartments in Budapest here. 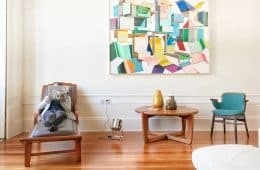 Airbnb fan? 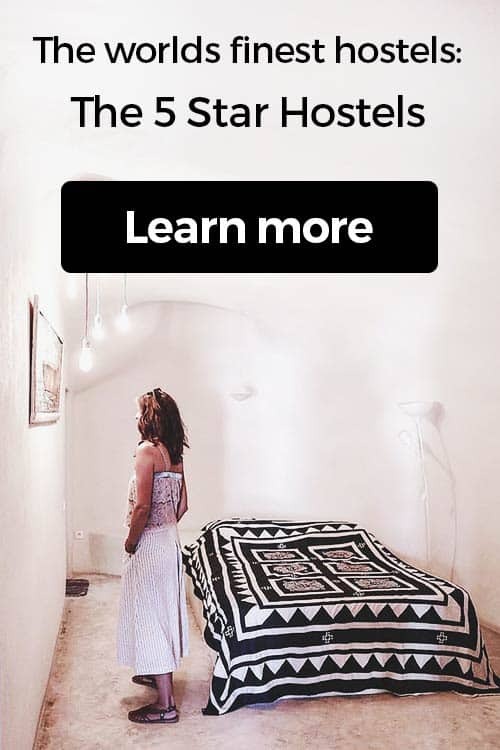 Here is a 35€ discount on your first Airbnb stay. Get wow-ed at the Kempinski Hotel Corvinus, the 5 Star Hotel in the city center. Find all prices of Hotels and Hostels in Budapest here. Budapest is always beautiful – winter and summer! Porto is more preferred as a summer destination, but still in winter you can come here and have a blast. 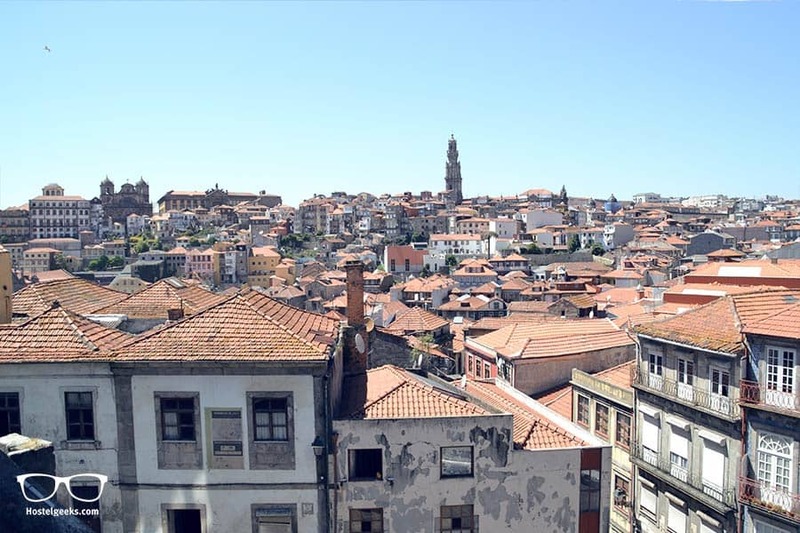 In general Porto is not an expensive destination, and you can have a great night out for a mere couple of dollars or Euros. What about a Fado concert in a wine cellar? Or maybe you just wanna enjoy to the food. Find our secret tips for Porto here! We wrote up a big guide to the fun things to do in Porto. Update: You won’t believe this hostel: The Passenger Hostel is one of the worlds most amazing hostels! 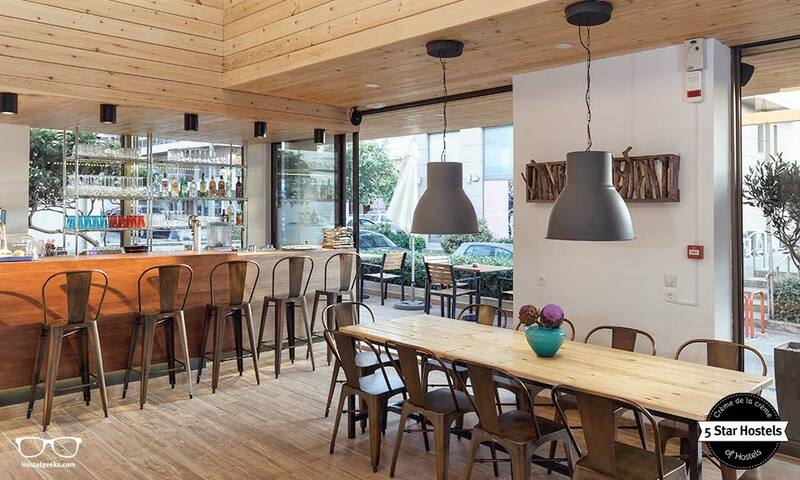 Read our fresh and complete guide to best hostels in Porto. We love to think about Berlin in winter. It is a great winter destination, especially in December. Sure, most of the people prefer the summer sitting in a beer garden surrounded by green parks, but a white Berlin is beautiful as well. Snow and winter is without doubt a significant part of the German culture. And hey, have you ever heard about German Christmas Markets? The Christmas Markets in Berlin are beautiful, so don’t miss out! In our travel guide to Berlin we show you the fun things to do in Berlin. Also, there are many activities and tours around the city, like history walking tours, food tours and museums. Also, there are free things you can do in Berlin. Did you know that visiting the City Hall is free of charge? It only requires you to register in the Bundestag website. Find flights to Berlin with Skyscanner and Kiwi. (Bear in mind, Berlin has several airports.) As mentioned before, you can get here from Prague and Hamburg easily via train and flixbus. 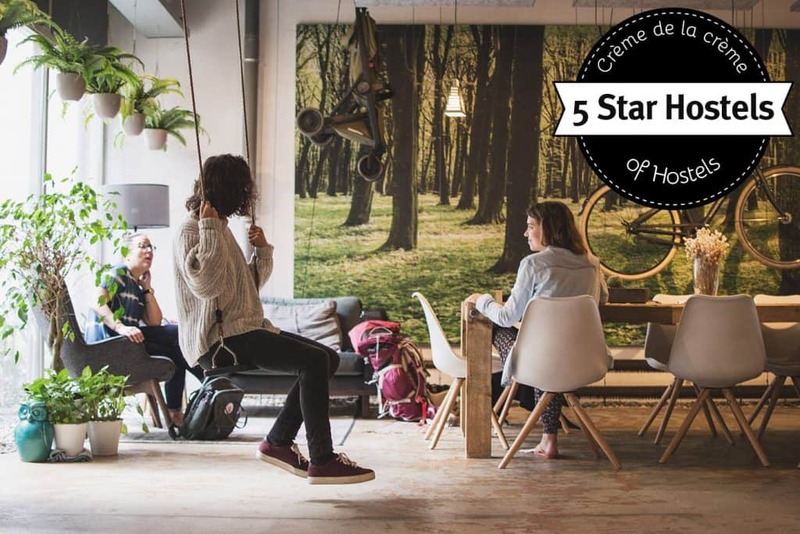 It is the only 5 Star Hostel in the German capital! The location is great with being close to the main train station, the design is a loft-styled hipster vibe, and the atmosphere is super relaxing. It simply feels like coming home! Read our handwritten guide to the best hostels in Berlin – for all types of traveller. We took this photo in a park in Berlin back in 2011. Make sure you pack your winter clothing when traveling to Berlin during winter! I never thought I’d fall in love with such a touristy city. But Venice, well, Venice is different. Of course it is crowded all year long, don’t get me wrong. At the same time, Venice is gorgeous all year long. I would recommend to stay at least 2 nights here and if you can better 3. This way you have really the time to get lost, taste Venice, take photos and “get bored”. 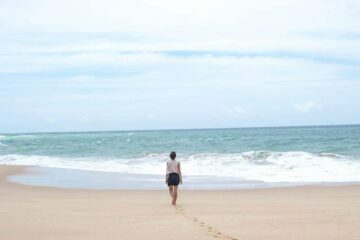 Get bored, meaning to just wander around, get lost, intent to find the way, get lost again and so on. This is part of the charm of Venice! Get our guide to hidden Venice here. You would enjoy a romantic hotel? 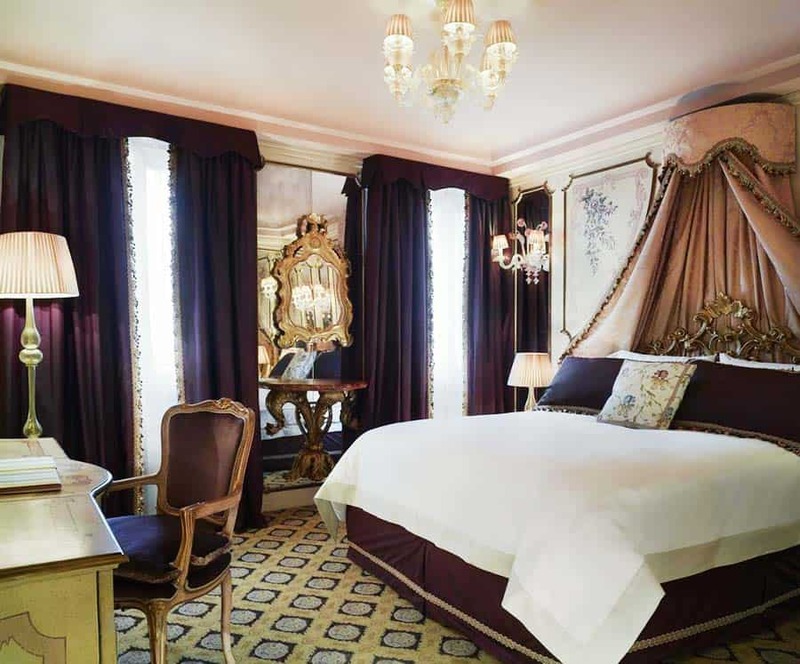 Then go with the Gritti Palace, A Luxury Collection Hotel. 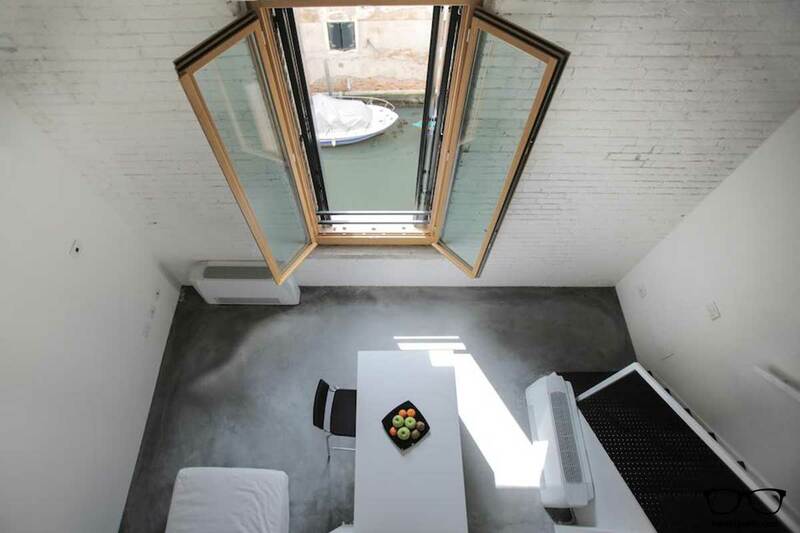 There is some AMAZING hostels in Venice, you won’t believe this. 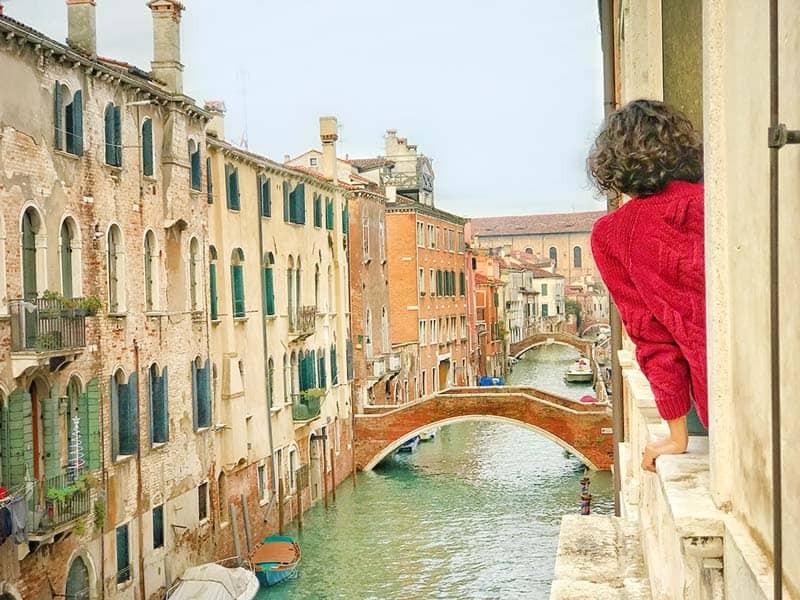 Read: complete guide to best hostels in Venice. 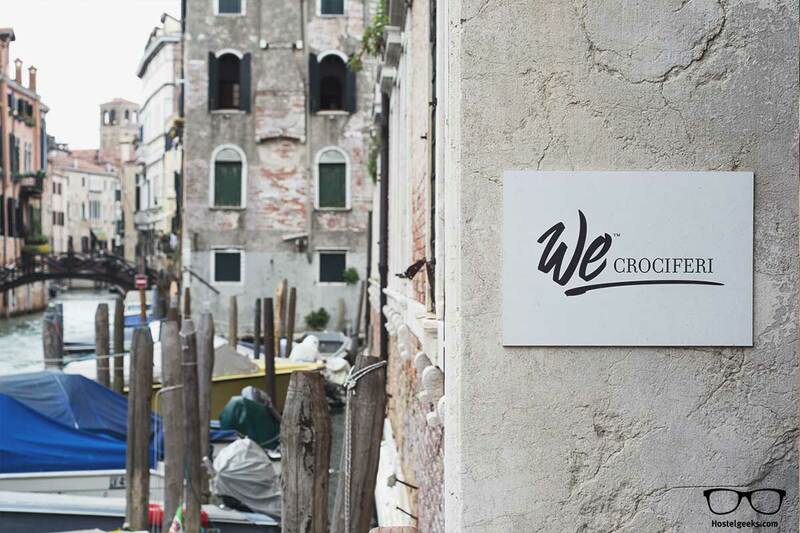 I visited We Crociferi in Venice, the best hostel in the city. This 5 Star Hostel is a former monastery and the rooms even come with a canal view. Here you can read our full review of WE Crociferi Hostel in Venice. Seriously, this hostel blows your mind! 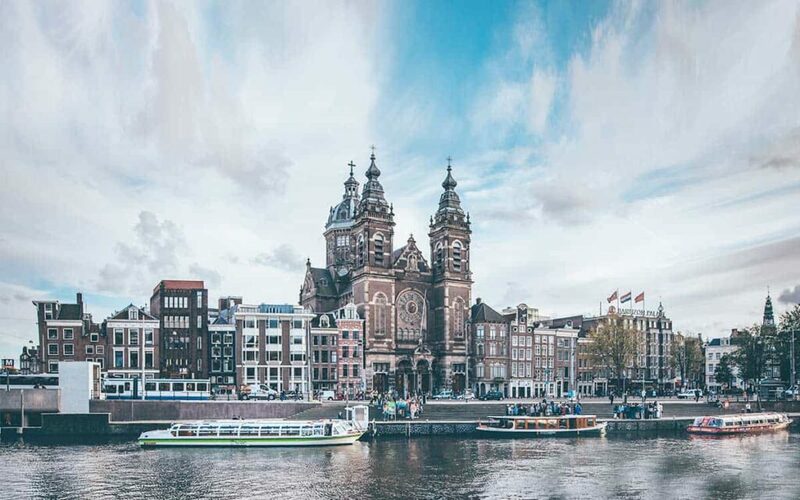 Amsterdam is a classic destination. It is awesome, all year around. If you are coming the first time over, make sure you add this one to the list. Rent a bike and visit museums. This is the absolute must do. 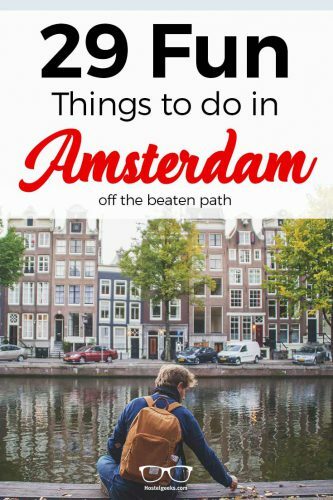 Other than that, here is my detailed article on 29 fun things to do in Amsterdam. Here we cover ALL the fun stuff this city has to offer. From Day trips to quirky events. For instance, the epic Amsterdam Look Out platform and the fun escape room game Locked.Amsterdam. Smart tip: You have to book your ticket to Amsterdam Lookout beforehand either with Get Your Guide. 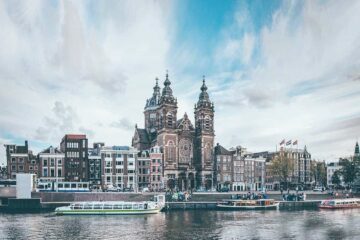 Read more details on my full article best things to do in Amsterdam. The BEST Things to do in Amsterdam – including Canal views! The two best hostels in town are Ecomama and Cocomama. Those are the 5 Star Hostels here in Amsterdam. Both are recommended for solo-travelers and couples. 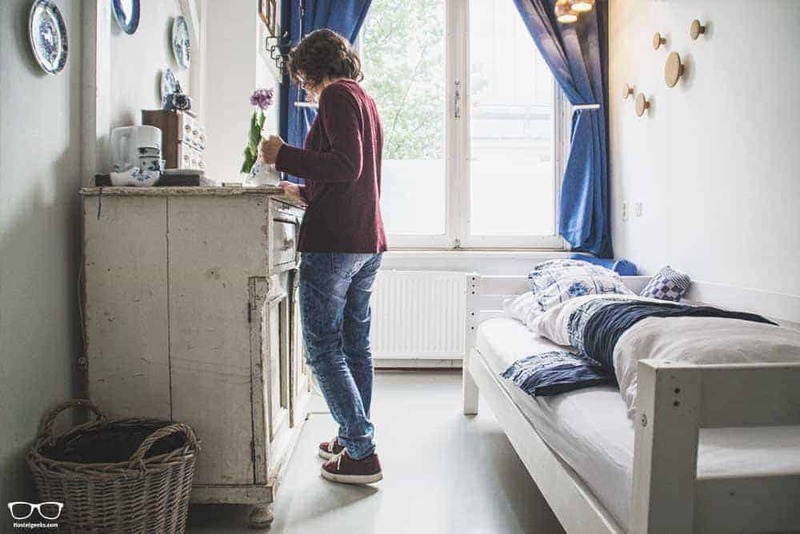 Check or guide to best hostels in Amsterdam for more details. As for families, I would opt for an Airbnb. You can get our 35$ discount for your first stay here. Cocomama Amsterdam – this is recommended for small groups and couples! As a main tourist spot, it is very well connected with the world and rest of Europe. Just check out Kiwi.com to find your best flights. Here is our full review of Kiwi as a flight booking engine. I would not recommend coming to Amsterdam with a car. Parking can be difficult and very expensive. If you are planning to come with a car, I recommend parking outside the center. Yet again, there is no need for a car in Amsterdam. The locals do not use cars, they walk, take the metro and cycle. Join the locals! This one is quite obvious? Okay, for Europeans maybe. Andorra is one of the smallest countries in Europe, and the location is unique. Hiding on top of the Pyrenees mountains between France and Spain, this makes it THE top location in winter to go snowboarding and skiing. The easiest way might be to fly to Gerona or Barcelona City. From there I would recommend renting a car. 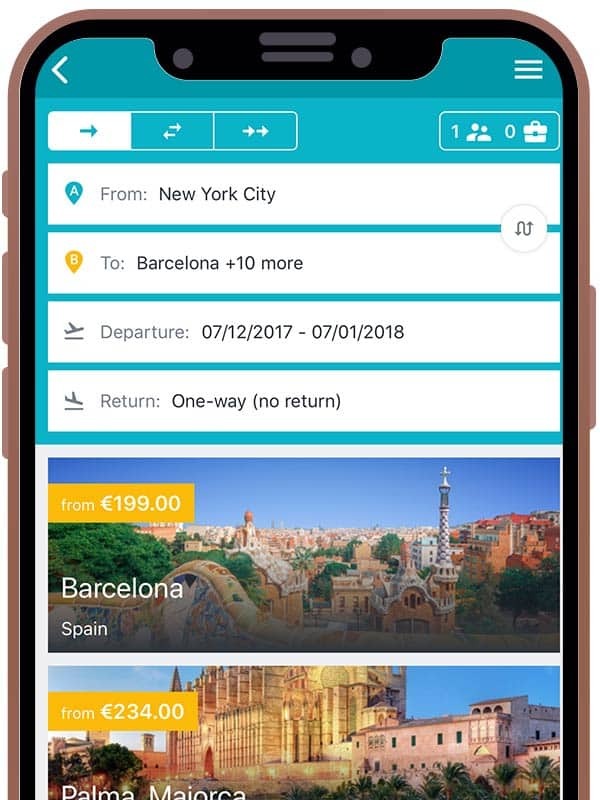 Find flights to Girona and Barcelona with Skyscanner and Kiwi. Many tourists actually visit Barcelona and then decide to take a train or car to Andorra for a few days. That’s a great option! Andorra is only 3 hours away from Barcelona. The Mountain Hostel Tarter is located right there. However, it may be surprising to hear that Andorra is as well a great summer destination. The surrounding mountains offer endless opportunities to go for a hike and mountain biking. Here you can find our photo gallery Andorra, hiking between the clouds of Andorra. 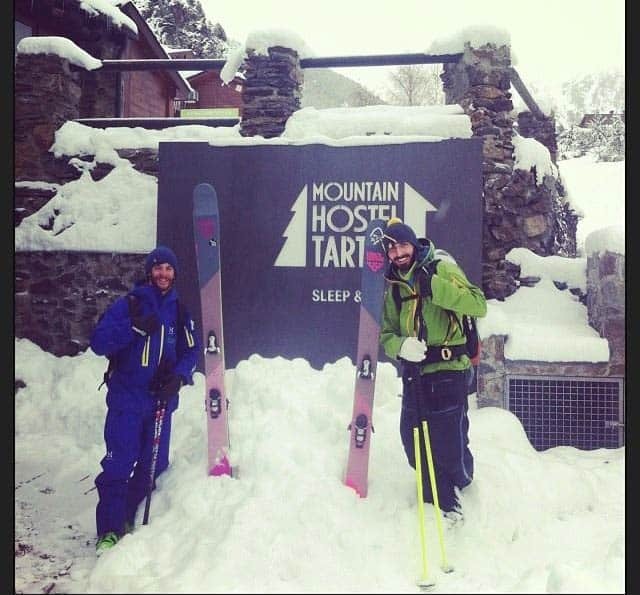 Find all hostels in Andorra here. We loooooove Bologna, and we cannot express this enough. It’s a serious hidden gem, and culinary capital of Italy. The good thing: As Bologna is half-way to Venice and Florence, nobody really stops here. We create a guide with secrets to Bologna. Besides Bologna, we also admire Strasbourg, another gorgeous city without the tourist crowds. Our friend Dan wrote up his favorite hidden gems in Europe as well, give it a read to get truly inspired. 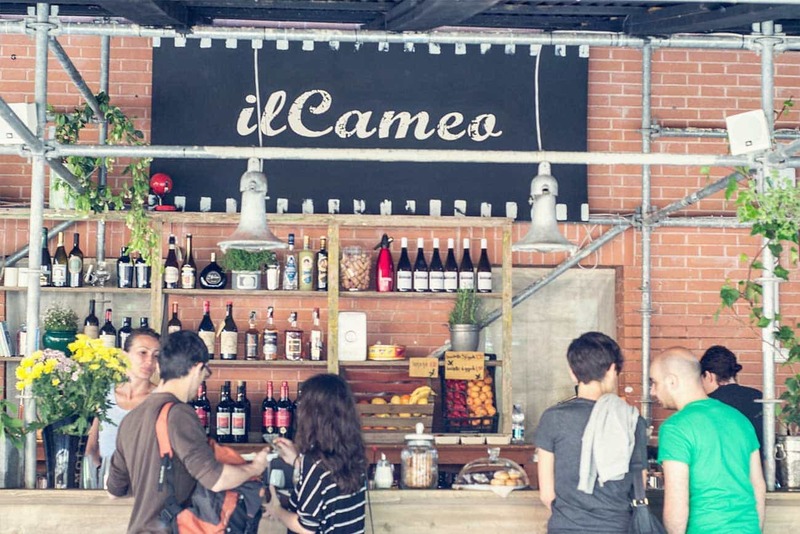 Find flights to Bologna with Skyscanner and Kiwi. Bologna is a hub for the cheap flights from Ryanair. We scored flights here for less than 10€! This tip is especially great since you can travel to Florence, Venice and Verona for a day trip. BTW: We paid 12€ for a train from Bologna to Venice. Find all hostels in Bologna here. Same goes for Bergen! 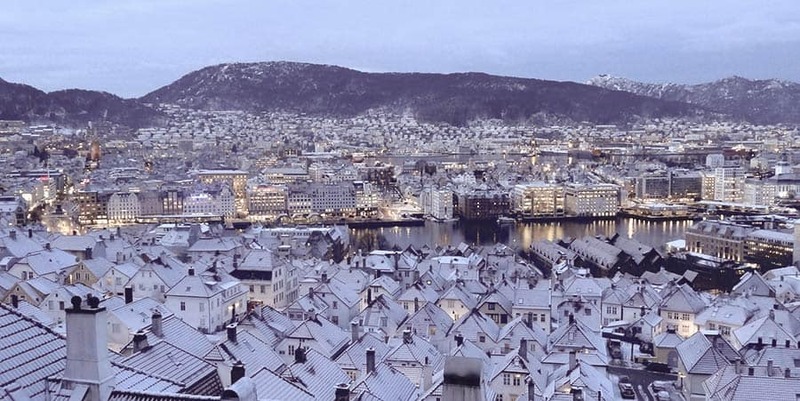 Bergen is known for its precious natural surroundings which can be enjoyed in particular during a long winter hike. Good, reliable winter clothing is a must of course. We wrote a big guide for cool and fun things to do in Bergen, Norway. The Marken Gjestehus in Bergen loves to enjoy the nature of Norway as well, so make sure you check out their website and recommendations before heading to Bergen. Read: best hostels in Stockholm, Sweden. Are you surprised to read Zagreb here? 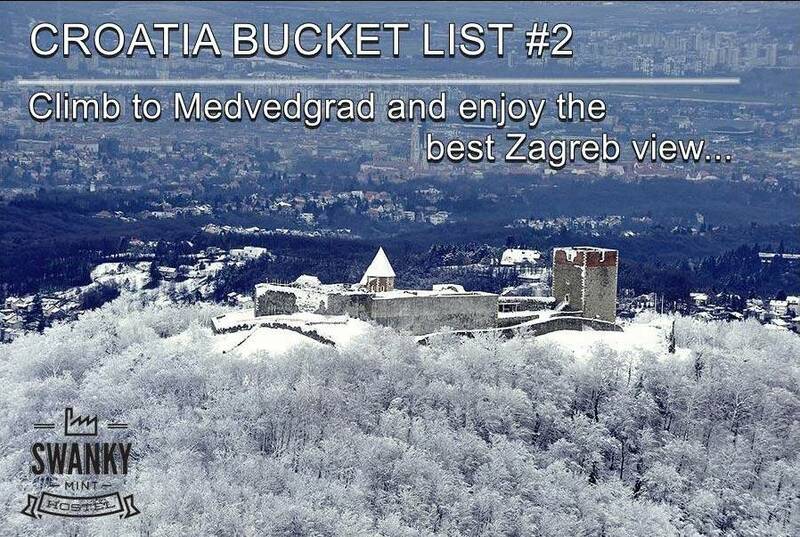 As Zagreb is located in the inner part of Croatia it is the perfect city break during winter. The bars, cafés, and restaurants are still open, the city is less crowded from the tourist point of view, but the student life is still vibrant and the Christmas Markets in Zagreb is super popular and gorgeous to visit. Here you can find details on Christmas time in Zagreb. You can experience a more local Zagreb than you would during summer. These Local Tips for Zagreb will be helpful for you. Find flights to Zagreb with Skyscanner and Kiwi. 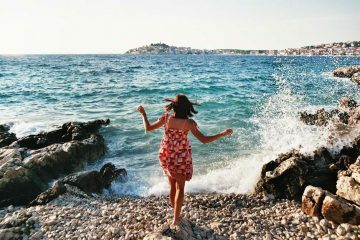 It is actually (usually) the cheapest airport to get your Croatia trip started. For summer, I highly recommend visiting Hvar and Korcula Island. JUST LOVE THEM! 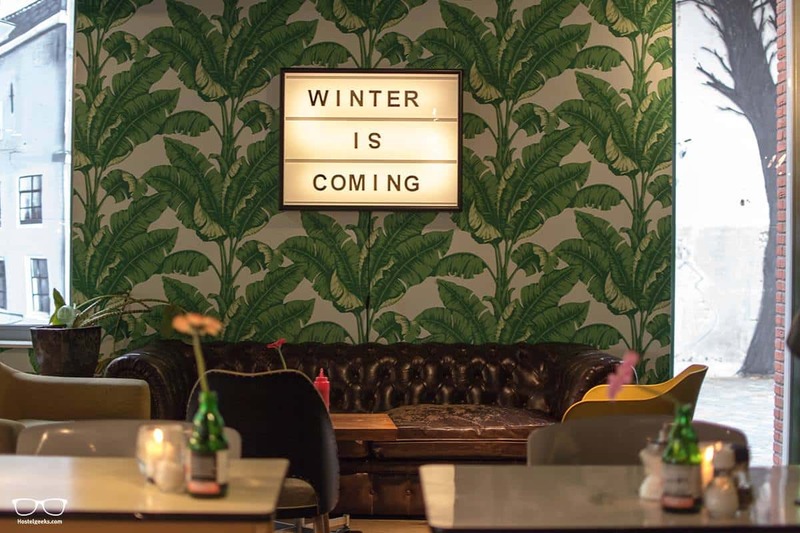 No doubt, the Swanky Mint Hostel Zagreb is the best hostel in Zagreb, and also during Winter a cosy place to mingle with locals and traveler, having a drink at the in-house bar. 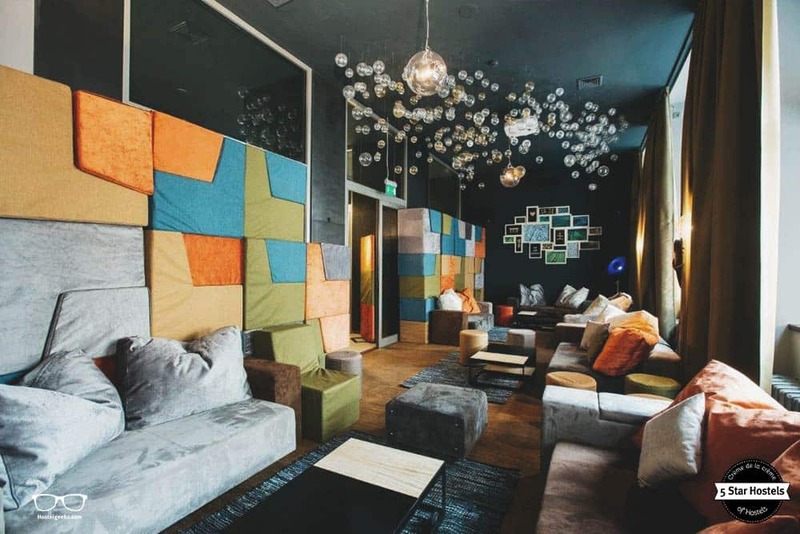 Here is our full review of Swanky Mint Hostel. Same goes for Munich! Sure, those beer gardens have their charm, but winter is part of the culture. The prices for accommodation are lower than in summer and there is still a lot to see and to do during the winter period. The prices for accommodation are lower than in summer and there is still a lot to see and to do during the winter period. Beer tours and royal castles are some of the cool tours in Munich. Also near Munich, you can visit the famous Neuschwanstein Castle (Disney’s Castle inspiration). Staying on a budget? Munich has some cool budget places to stay. Find the 3 best hostels in Munich in our guide. We put all hostels on a map with all major sights to visit. Have you been to Barcelona during July or August? If not: It is super crowded! The old town is chock with tourists, the prices are high and the sun is scorching hot. Even our favorite super local hidden-gem winery is now packed with tourists. If you have a chance to stop by during the colder months, do it. It also allows you to check out the 8 Local Tips for Barcelona even quieter! The prices for Hostels are no comparison to the high season in Barcelona. You can save a lot of money, and it is surprisingly sunny for the time of year. Sure, during the night you will have to wear your jacket, but the welcome winter sun keeps you warm during the day. Find flights to Barcelona with Skyscanner and Kiwi. Here you have a list of +77 Things To Do in Barcelona and 23 Fun Things to do in Barcelona. 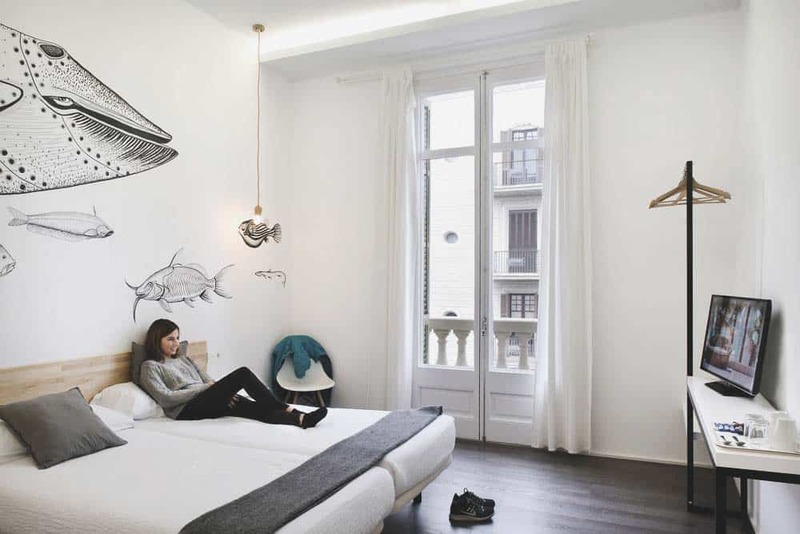 We collected the 3 best hostels in Barcelona here. Here is a useful guide to One Week In Barcelona. It covers where to stay in Barcelona. 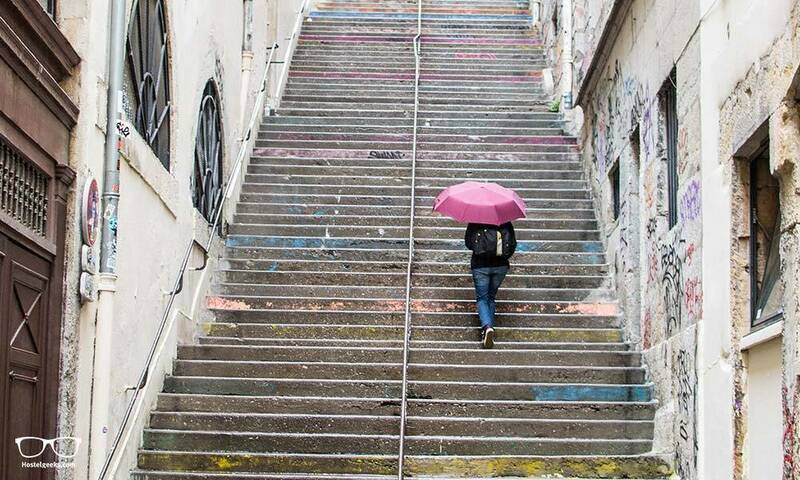 Pro Tip: The hostel prices drop in winter! You can stay at hostels in Barcelona for less than 10€! This photo shows Anna on a cold winter morning in Barcelona. Okay, after finding all these super cool places, it’s time to see what you should pack in your backpack or suitcase. Here is our ultimate travel packing list. It features 23 items you need to pack. The new hipster paradise Ghent is a travel destination for the smart traveler. Winter can be tough in Ghent, and it is part of the culture in Belgium. It is the perfect excuse to visit Ghent and Belgium, and to warm up with delicious Belgium beers at the different bars within the city and across the country. 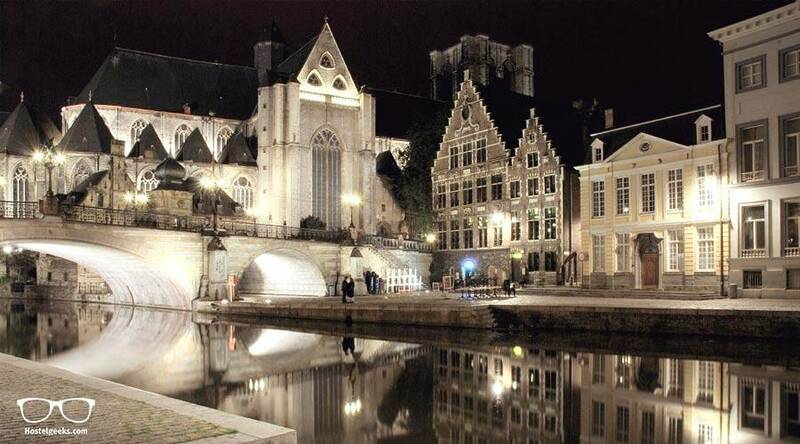 For some Secret Tips Ghent, check out our Geeky Guides! 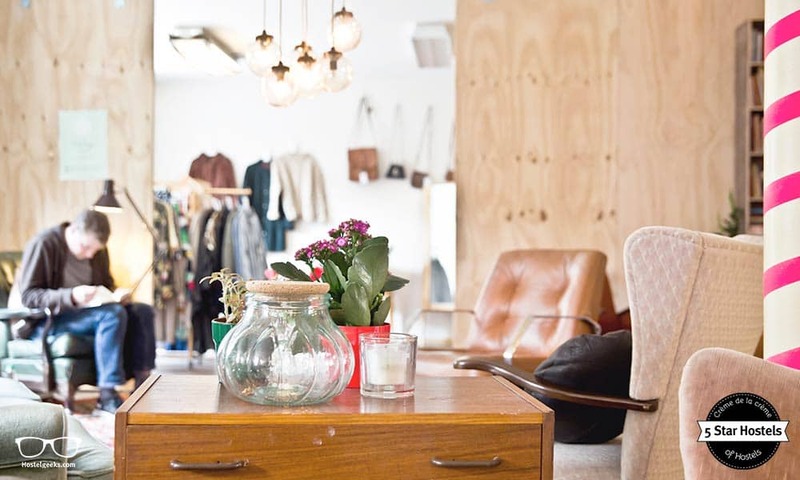 Ghent also has many design Cafés on offer that you should not miss. Find all hostels in Ghent here. There are also many lovely Airbnb rooms and apartments in this city. Don’t forget to use this code to get a 35€ discount for your first Airbnb stay. Comparing to summer, where 2 million tourist arrive in Rhodes, the winter is a much more relaxed time of the year. Rhodes is not a very known winter destination even though the weather is much better than in other destination known for winter tourism like Mallorca, Menorca, or the Canary islands. With an average of 300 sunny days, even in winter it is sunny most of the time. Temperatures vary between 10°C and 20°C. The water is warm until middle of December. December is actually more of a swimming season than May, because the water is much warmer in December. Besides the wonderful climate and the awesome STAY Hostel Rhodes, the 5 Star Hostel in Rhodes, you really get a chance to see Rhodian Life. Find all hostels in Rhodes here. Locals go out to traditional taverns and small live-music events in cafes and restaurants are spontaneously organized. Due to the fact that Rhodes has a big university nightlife is happening every evening summers as winters. 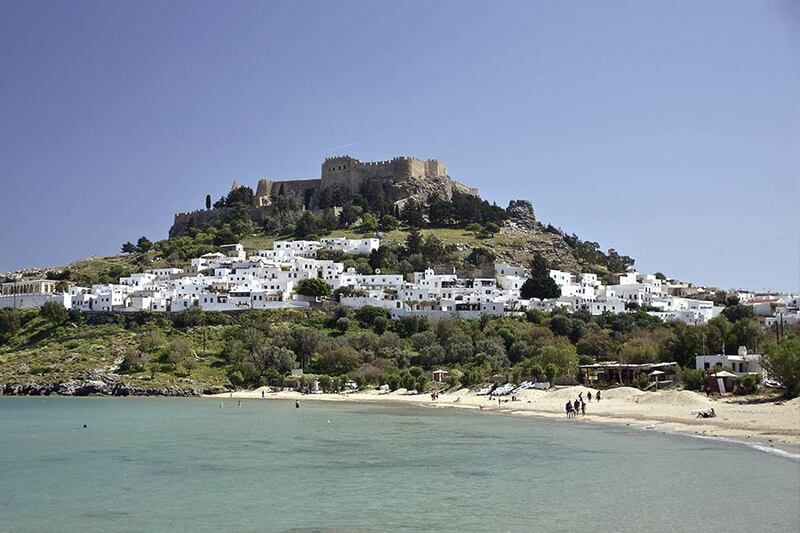 Read our huge guide to things to do in Rhodes. Same goes for Santorini. IT IS AWESOME – all year long! Here are our 27 fun things to do in Santorini. The old town, the ancient stadium and the acropolis of Lindos are examples of spectacular sites that can be enjoyed likewise summer and winter. Going for a run by the sea, bicycling, climbing and hiking and any other outdoor activity is great in the winter time, as summers can get quite hot. 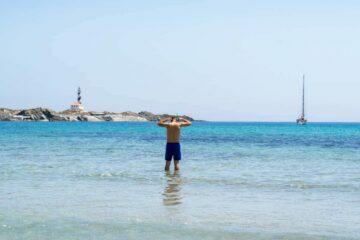 And here it gets really juicy: Getting to Rhodes is easy and cheap in the wintertime. There are daily Ryanair flights from Athens to Rhodes and Aegean-Airlines flights from Athens. We love to use Skyscanner and Kiwi to find flight deals. Here is our full review of Kiwi as a flight booking engine. 16. Marrakesh and Taghazout – is that Europe?! but it is close to Spain and very easy and cheap to get to. During the European winter, Marrakesh is still warm. The city is cheap and a paradise for the budget traveler. If you cannot stay in Marrakesh for longer than 1-2 days, well, there is always Taghazout and Essaouira. Essaouira is located right next to the beach. It is a tiny town, surrounded by thick walls. It is really beautiful to visit, very safe and great to wander and unwind. Other than Marrakesh which can be stressful. Fly here! Compare all flights with Ryanair and Vueling and other airlines. They usually have the best rates. Talking about Taghazout, how about surfing in Winter? Here is a full review of Amayour Surf Hostel on what to expect. Check out the website of Amayour Hostel for more info on yoga classes and surf classes. Find all hostels in Taghazout here. Morocco is a great choice for staying close to Europe, whilst still escaping the European winter. 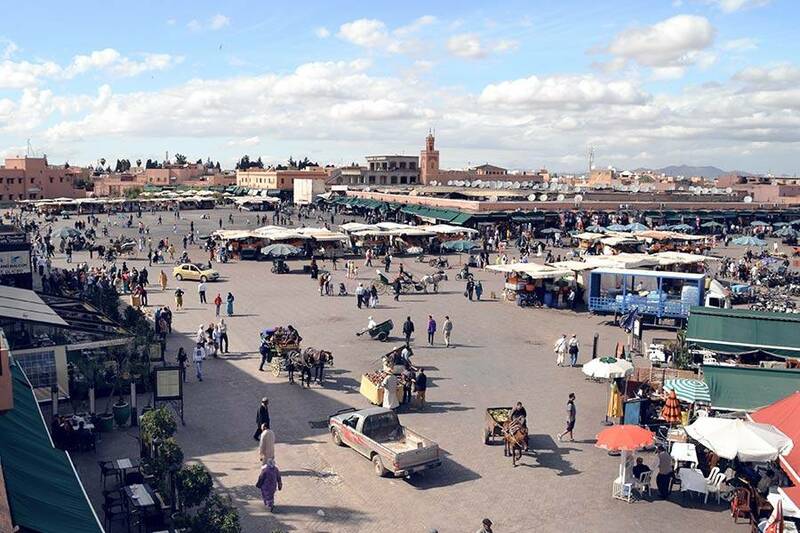 And hey, here you can 5 Secret Things to do Marrakesh outside the tourist box! 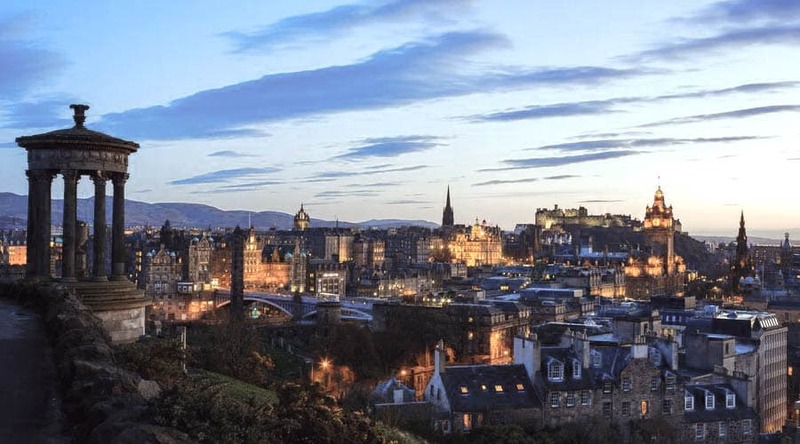 Edinburgh is still a popular tourist destination during the colder season. The taverns will keep you warm, and when the sun comes out during winter you can take really stunning photos: Edinburgh under white snow is just beautiful! The stories about ghosts and castles seem to become real in winter time. Ghost tour anyone? Or maybe you would prefer a day tour to Loch Ness to chase Nessy? 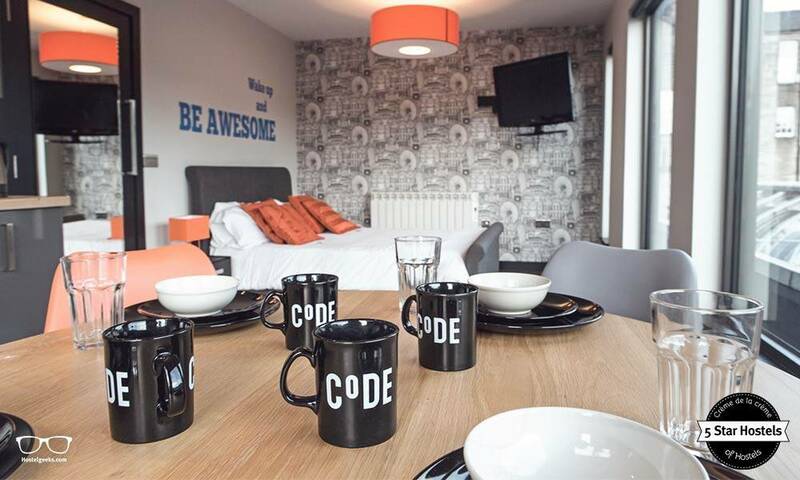 You can still enjoy our 5 Secret Tips to Edinburgh and CODE Hostel, the 5 Star Hostel in town. And sorry, but we have to say it: With the castle covered in snow, it may remind you of Game of Thrones. Also, there is the yearly festival of Hogmanay taking place! Architecture, Art, and cosy local vibes. Rotterdam is still a beautiful, less-known city to check out. 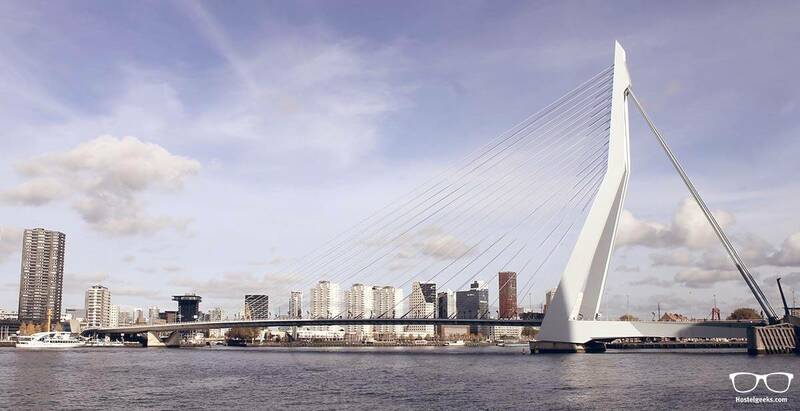 With the biggest port across Europe, Rotterdam has a lot to offer, especially in Architecture. 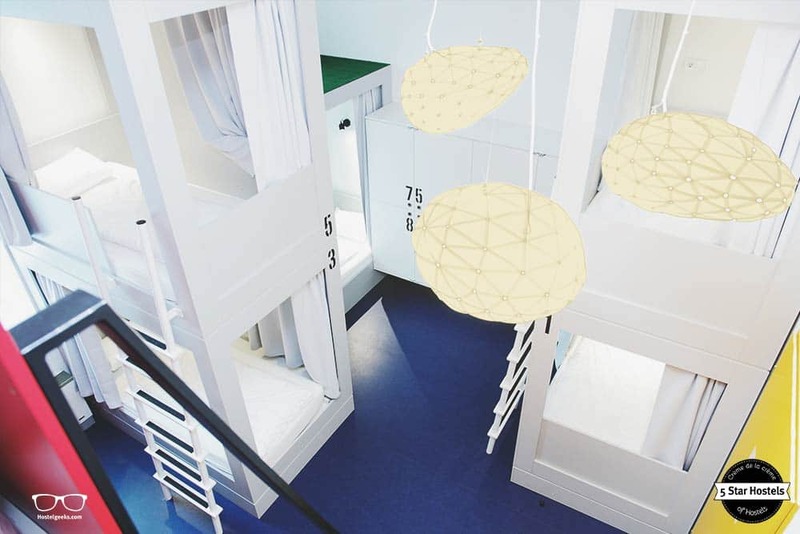 The 5 Star Hostel Ani&Haakien runs its very own Architecture Tour in Rotterdam. 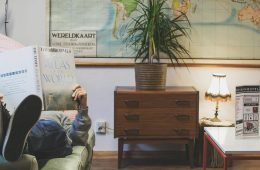 Find all hostels in Rotterdam here. The „new Paris“ is a great spot to enjoy during winter and summer equally. The stylish cafés, restaurants and bars are still open, and the city maintains its vibrant lifestyle. 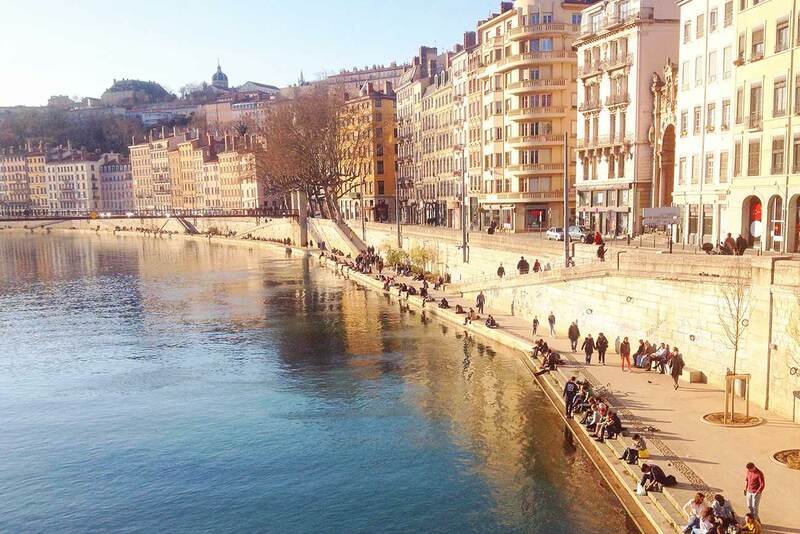 Here you can find 5 best things to do in Lyon. Sure, Paris is always a good destination as well. We collected +28 fun things to do in Paris. We had a look at rollerblading, picnic with pizza delivery, dancing on the seine, and ice skating. Lyon has now as well a cheap airport, so that’s a good option. Other than that, a road trip around Lyon, South France and up to Paris is a wonderful experience. Find all hostels in Lyon here. Another great city we enjoy in the colder month is London. 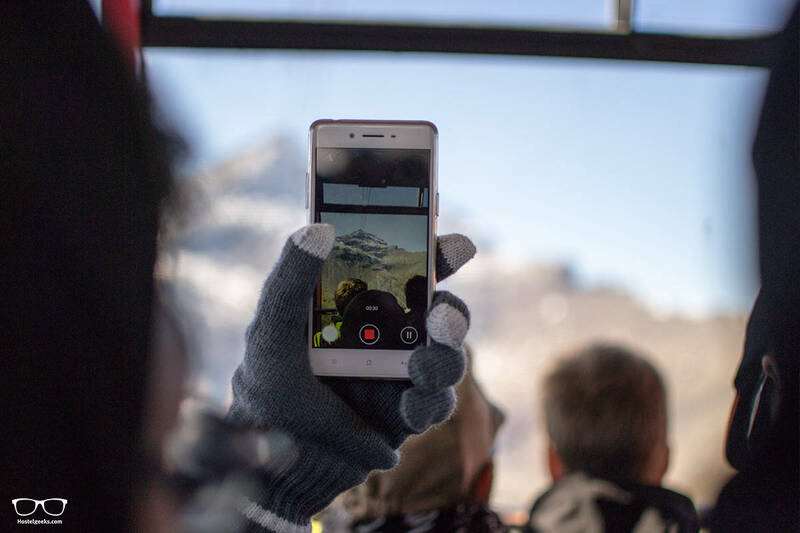 Since there is SO many things to do in-house, it is perfect to travel in winter. You can enjoy the endless museums, visit the theatre, go up the skyscrappers, you name it. We summed up the 27 best things to do in London. Did you know many of the museums here are actually free? The British Museum for instance. This is so great!!! We wrote up a piece about 62 free things to do in London for families and couples. 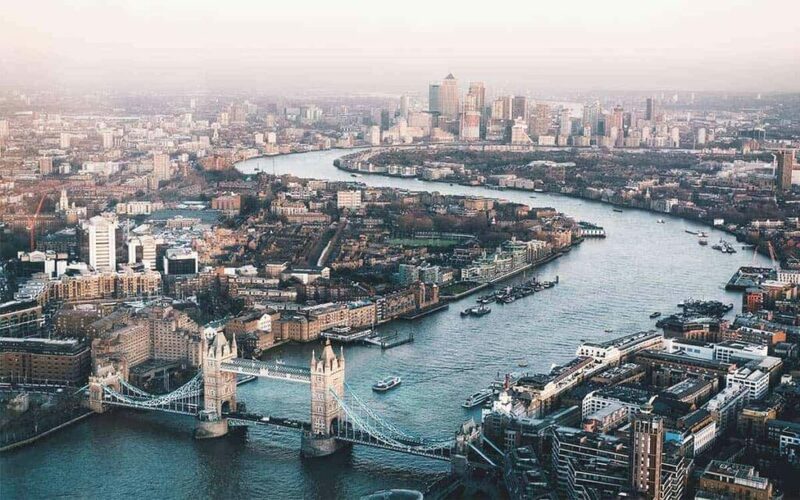 Find our guide to the 3 best hostels in London here. We also cover many hostels in London with private rooms and neighborhoods. Good to know: We also include family-friendly hostels in London! The last stop for our European winter destinations in Scandinavia is the Danish capital. Copenhagen is known for its high prices, and for sure not a cheap destination to visit. This is why winter here is a top choice. The prices are in general down, and you can get great deals from the Hostels. Update: Read now our guide to the 3 BEST Hostels in Copenhagen. Find all hostels in Copenhagen here. Psst… We have some really cool fun things to do in Copenhagen, you should not miss! How to get to Copenhagen? Find flights to Copenhagen with Skyscanner and Kiwi. This is by far the easiest option. Trains can be tricky I found, and a car is not really recommended due to the lack of parking space in the city. Everybody in the world knows this city by name. But it’s yet in the shadow of big, famous Berlin. 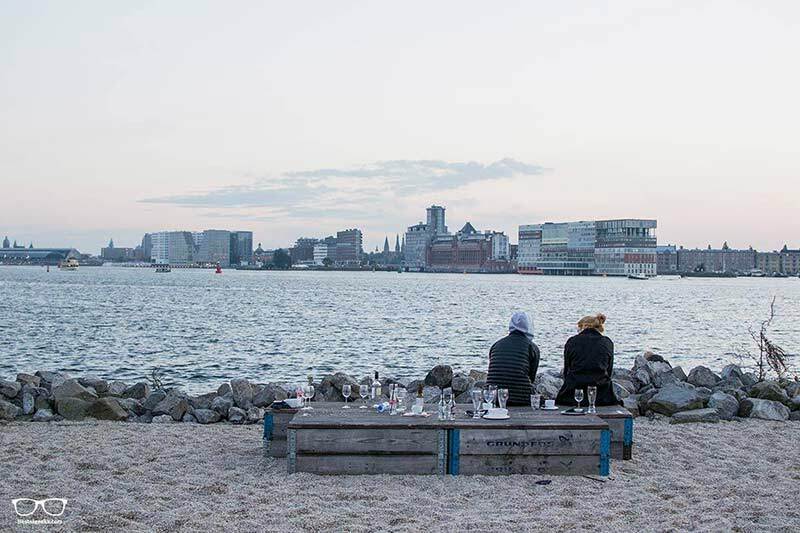 Let me tell, Hamburg is a true hidden gem! We have been several times to Hamburg now. The best time we have been there was during New Years Eve. It was cold, snowing, and people were celebrating all night long! 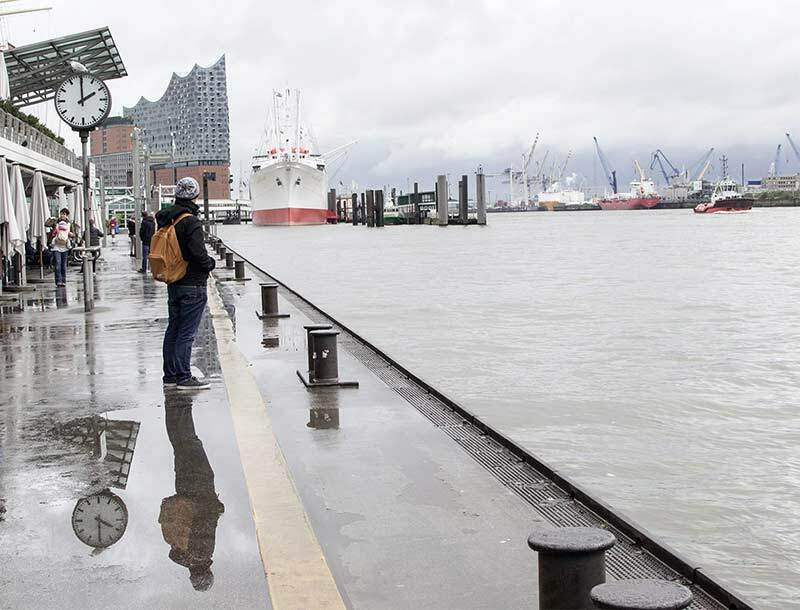 The colder months do not scare people to stay indoors, and you can still enjoy all the cool things to do in Hamburg. Instead, they go out to the bars, cafés and don’t let the cold weather put them off. 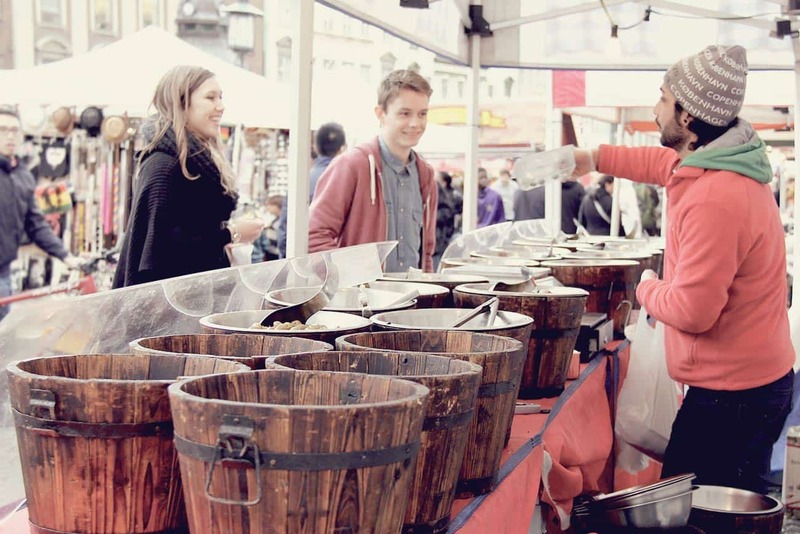 Plus during Christmas you can enjoy the festive markets as well. Find all tours and activities here. Viator also offers a wide-range of cool things to do. Easy. Hamburg has a big airport, it is Germany’s door to the world. You can also come via train from Amsterdam or Berlin. It’s only a short ride away from Berlin, and the connections are frequent. You can also rent a car and go on a trip from Amsterdam to Hamburg and Berlin. Later in this article I introduce you to renting a car in Europe the right way. 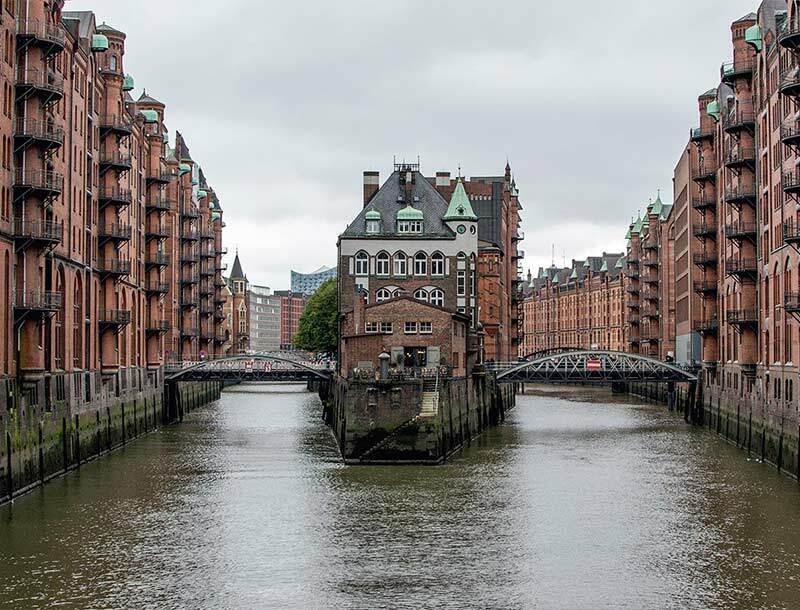 Find flights to Hamburg with Kiwi. 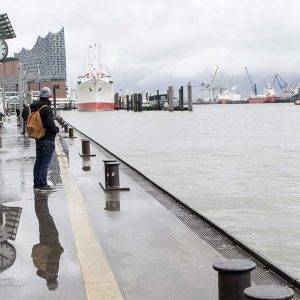 You can also find cheap flights to Hamburg with Ryanair.com. A great option for hostels in Hamburg is the Backpackers St Pauli. The most popular hostel in Hamburg is the Pyjama Park Schanzenviertel. 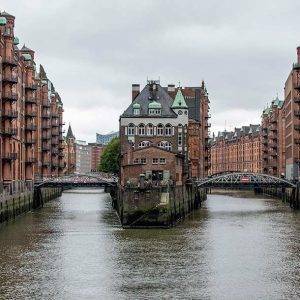 If you are looking for more backpacker lifestyle and budget accommodation, find all hostels in Hamburg here. 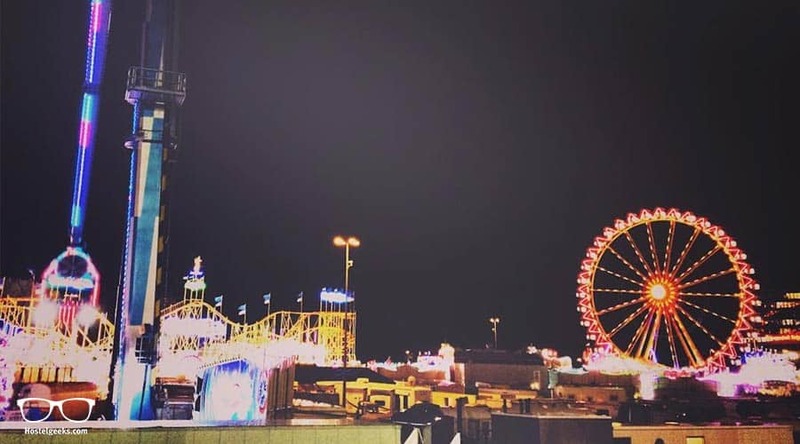 You can find many European Festivals during Winter here. 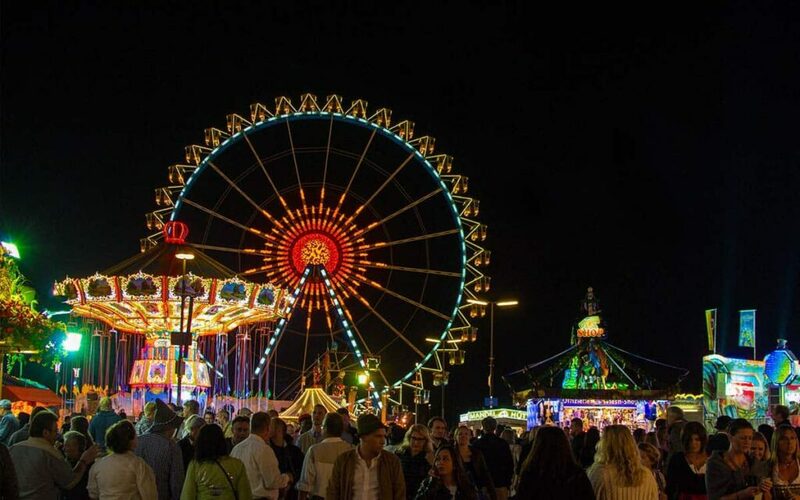 Also, there are many other public festivals across Europe such as the Light Festival in Amsterdam, the snow and ice sculpture festival in Bruges and more cool European Festivals you can find here. Do you know more? Awesome! Please let us know, we would be keen to add more cool winter events in Europe. Trains are a great way to get around. For me, it is the best way since I don’t like long bus rides. Every country in Europe has its own train company. It is worth it to check out the official train websites of each country. Some of them offer big discounts for early bookings. For instance, in Germany you can get big discounts when you book at least two weeks in advance. Besides the train, which can be quite pricey, there is the bus. 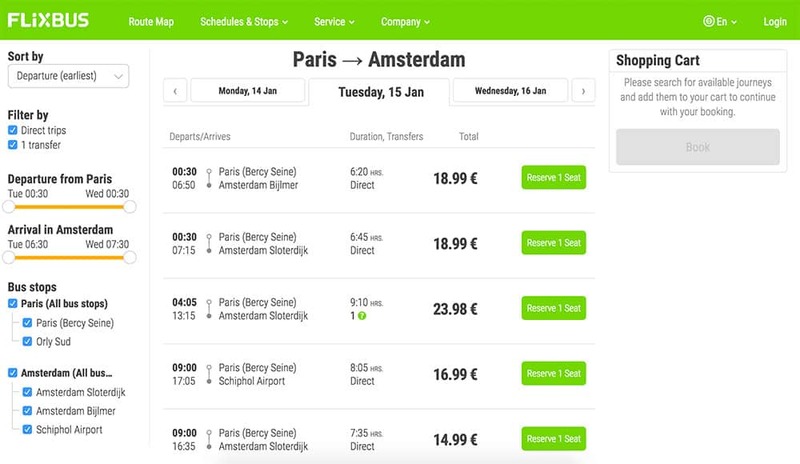 Flixbus offers many routes across Europe like from Paris to Amsterdam, Madrid to Barcelona, Berlin to Prague. And even longer journey from Zagreb to Paris. It is a really easy way to get around Europe for a cheap price. The only downside is, it takes much longer. I would recommend this type of transport only when you bring enough time. Other than that, it is a great way to stay within a budget. Renting a car in Europe ca be tricky. There is a few things you have to take into account and a few questions you have to ask yourself before renting. Will you be crossing borders? Do you have the correct license to drive a vehicle in Europe? There is many many different types of comparison websites for renting a car. We used a few of them over the time. The truth is, those websites come and go faster than roadrunner escaping Coyote – if you know what I mean. We have used several and there was always an issue. There was always an extra to pay, the price doubled easily, the car was not in good condition etc. Renting a car for us is still always a pain. We want to be really upfront: Unfortunately, we are not an expert here. We have used many different sites; and always we disliked something. The most reliable car rental for us is SIXT. They are usually not the cheapest, but there is no hidden costs etc. My best tip ever for renting a car: ALWAYS get full insurance! 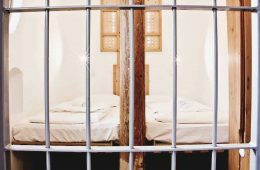 If there is just the tiniest issue and someone hit your door for instance, you avoid big extra costs, known as penalties. If you get full insurance, you don’t have to care a thing about any scratch by third parties. Personally, I think it is worth it the extra euros when renting. Just type in your route from A to B. The websites gives you 3 options how to get there. On top, it gives you the average prices and tolls. This is especially useful since many countries in Europe charge tolls for their highways, like France, Spain, Italy. As said before the prices for hostels during are usually lower. Especially on Booking.com you can get lucky and score incredible deals. Hostelworld is a popular website for booking hostels. Please keep in mind that this depends on the day and destination after all. In winter destinations like Andorra the prices can be higher than in summer, and during New Years Eve it goes without saying the prices in every hostel probably around the globe will be higher! Any questions? Please leave a comment below. We are thrilled to help! 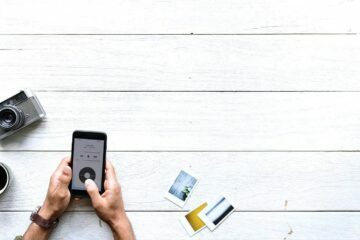 Here you can find 15 bookings tips for hotels and hostels – super useful as well, especially during low season. Our friends from A Pair of Passports also agree with us. They share romantic reasons why to travel off-season. You should also consider AirBnb. With our link you can save 35€ on your first AirBnb stay. Make sure you subscribe as well to the newsletter of cheap airlines such as RyanAir, Vueling and EasyJet. Usually every year around October and November you can score some really cheap flights across Europe. The easiest way to get special promotions are the mentioned newsletters. 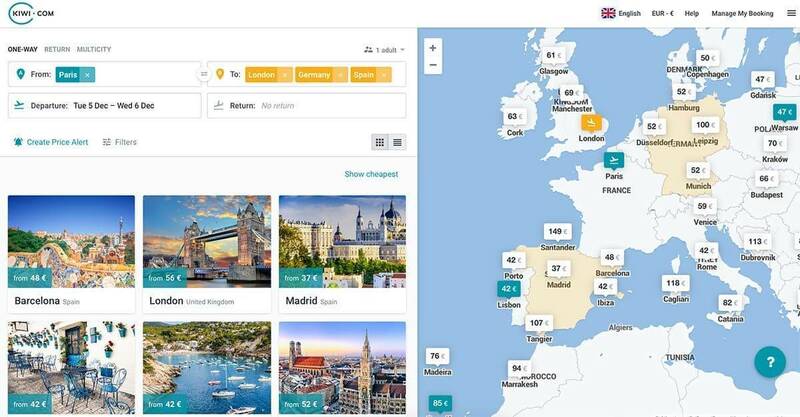 A great way we found to compare flights is Skyscanner. 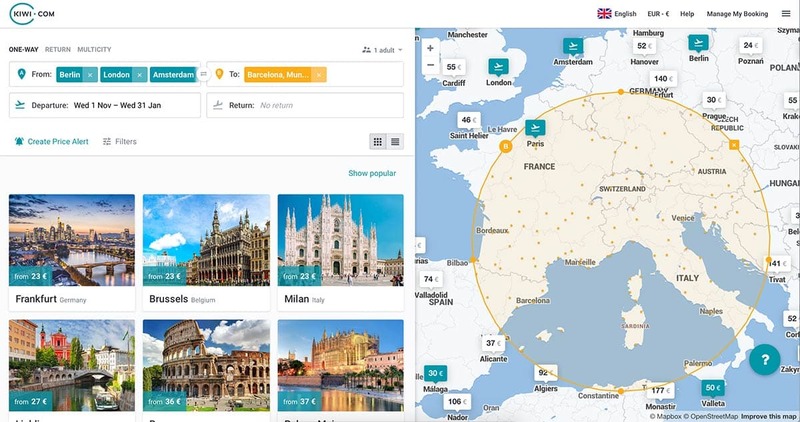 You can even compare different destinations with one single click. Anyway, here is my full guide to Kiwi, including a booking guide and screenshots. Trouble with deciding where to go? What see too or how to get around? 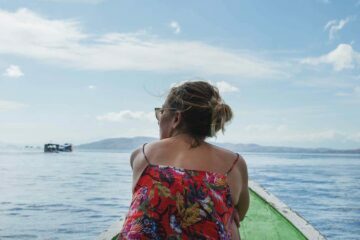 I just started this small service to help you out planning your trip and put it down on paper. We will also have a look on the budget estimation. 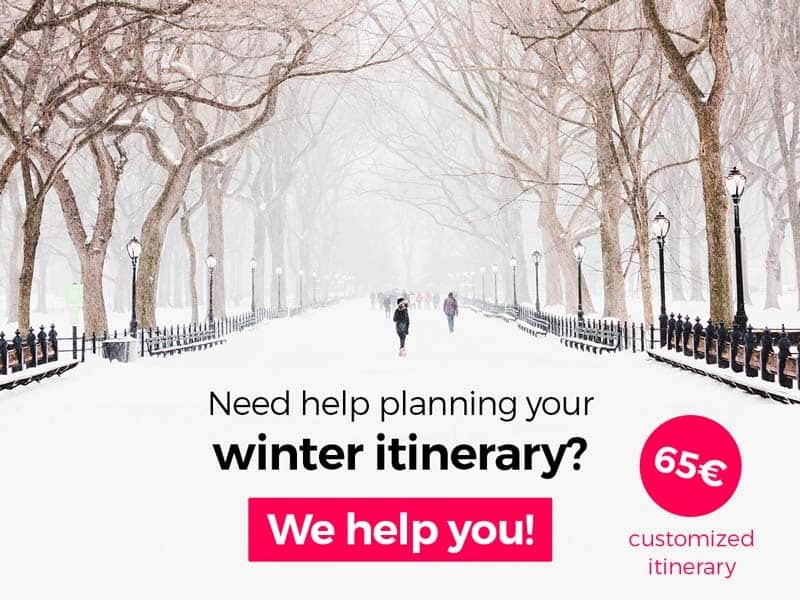 You can find more details on my winter itinerary service here. UPDATE: This service is no longer available. Find 25 more European winter destinations here. 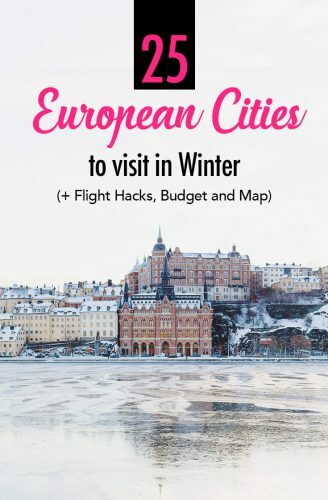 Do you have more recommendations for European Winter Destinations? Backpacking for Beginners? 10 Most Common Mistakes to avoid! Loved your article, since I am looking for recommendations on places to visit after my work trip to Oslo in a couple of weeks. I have seen the majority of Oslo, but trying to decide if I should stay in Norway and visit some other cities (possibly by train for scenic views) or if I should fly/train to another country since its way closer than my home in Houston. I have never been to Europe before and my only international adventures include Latin America and the Caribbean besides Oslo, Norway. I am open to new sights and may be alone on my journey. I was thinking of leaving Oslo Saturday and take a few days and fly home Wednesday. Any suggestions??? Thanks for your really great question. My best recommendation would be: See something else from Europe as well! I love Norway, but when you’ve never been to Europe, then go on and visit some other places. Obviously the famous Rome, Venice and Barcelona are also gorgeous; however, if you can choose, I would leave them for the summer time. Berlin is also super cool in winter! Any more questions? Please please let me know! Hi! Great article and so informative! My fiancé and I are booking a spontaneous eurotrip for nye. nightlife is a MUST. We don’t really have a budget would love to get your ideas for an itinerary that will keep two young lovebirds entertained. From your article seems like Berlin/Budapest/Prague are all great options. Do you mind sending your itinerary over would appreciate it! 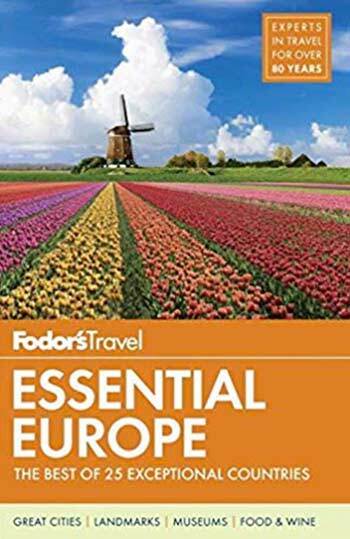 I’m planning to have a week in Europe with my wife and two kids in December 13 and want to get the best advise for a memorial trip with the family and to have a good weather or big festivals or so. The full budget is not more than 5000$ in total including the flight, hotel and all. I think your budget is fine, that should be enough to have a great time! What are your interests? In my article I cover so many amazing places in Europe, I hope some of them are of interest for you. Let me know if you need some more recommendations! I am from India and looking for 10 days family trip to Europe from 20th Dec to 5th Jan. we are 4 members two adult and 2 kids 12 and 9 years old. Please advice best place to visit. Thanks for your comment. Have you read the article? It states all the cool places to visit in Europe in Winter. Happy to give you some more recommendations. Just let me know what exactly you are looking for. Snow? Skiing? Christmas markets? Culture? Tours? Hi, me and my husband planning to visit europe in june 2019. Bringing along 3 kids, age 10, 6 and 1. Which countries would you recommend for us. We want the kids to experience cold weather since its always sunny and humid in Singapore. Hahaha. And of course with 5 of us it means we try to go for a budget trip but at the same time enjoy it. What would you recommend with itineraries? Thanks alot! okay, that’s actually really funny. My best advice: Go North!!! This is where the real winter happens. The south is mainly only cold. But if you want snow, go for Berlin, Dresden, Prague, Munich, maybe Amsterdam and Paris. (Not snowing that often in Amsterdam and Paris though!) When are you traveling exactly? Happy to give you more insights! I am from India and planning to visit Europe in mid-Feb for around 11-12 nights for my honeymoon. I am looking for a mix of romantic as well as party places. Which countries can I visit in Europe in February which wont be dull and I can enjoy the nightlife as well? Europe in February is a cold month. Wherever you will go, it will be cold. 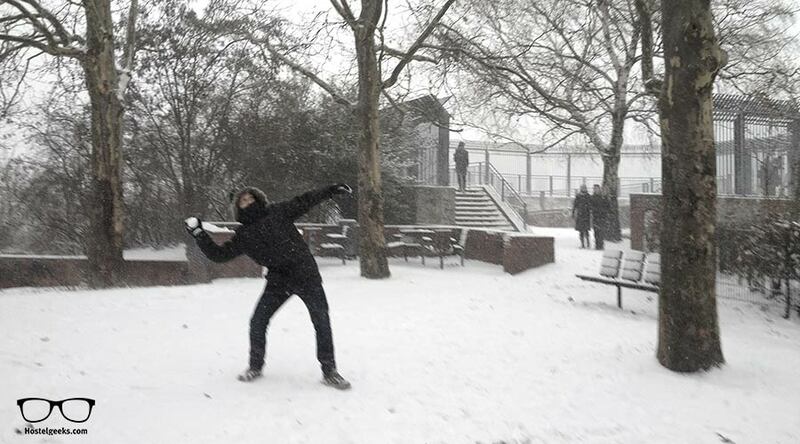 Now, there is a big difference of the 10 degrees “cold” in Sevilla and -10 degrees in Berlin. If you are okay with really cold winter, the Northern European part will be great. For instance, Berlin, Prague, Amsterdam, Paris. Since you want some romance, I would recommend Paris, Barcelona and Venice. The days in Barcelona are really sunny, but you will need a jacket, no doubt. About dull weather…well, there is no guarantee you have sun in the North. In Venice and Barcelona chances are higher to get a clear sky! Any more questions, please let me know, always keen to help! 4 adults travelling on a budget christmas and new year week. Can you help us plan. Happy to help you! Can you please let me know more details about your travels? How long? What is your favorite thing to do? What would you like to experience in Europe and do you have a bucket list? Hi, very informative article. Me and my wife just got married and are planning a honeymoon trip to Europe in December for 2 weeks. Prague, Budapest, Barcelona, Paris, Italy and Greece all look interesting to us. We would like to do mix of romantic/relaxing and adventure/nightlife activities, so if you have any recommendations I would love to hear them. We have never been to Europe so any other advice on travel, how long to spend on each spot or what to expect budget wise would also be appreciated. 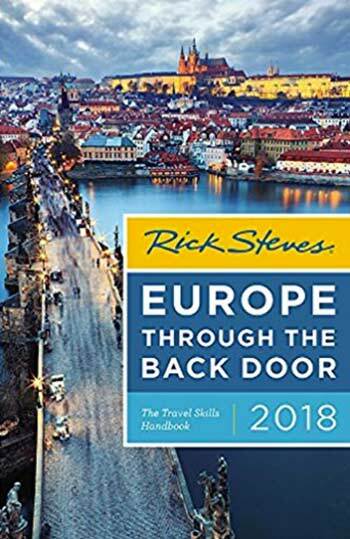 My husband and I are planning a trip to Europe this coming Dec for 2 weeks. We want to go for Christmas Market and experience Christmas in Europe! ge around! And I guess going in Winter means heavy luggage and I am not sure whether it will be troublesome. Could you share with me your itinerary and budget? I am planning to come with my partner to Europe in Mid december. we are from India. We wish to definitely travel Rome, Budapest. we wish to stay here for around two weeks. Can I have itinerary and budget ? Rome and Budapest, great idea! I would throw in Florence and Venice in this journey. MAGICAL cities as well! How are you planning to travel? By bus or train? Might be the best option at this time of year. You can also get a flight from Budapest to Florence. There is cheap options. Please check our my links above to Kiwi and Skyscanner. Me and my husband planning to go Europe this end of December to celebrate Christmas and new year. We wish to go and witness the Northern lights and Milky Way sky. Apparently we need some recommendations and suggestions from your experiences on how to explore from Northern to southern Europe . We love to explore some of the European countries with superb and amazing landscape during winter time. Eg., Czech Republic, Finland, Hallstatt, Austria or Iceland. Can I have your itinerary and budget for this kind of trip. Thanks. celebrating Christmas and New Years Even in Europe is a great idea!! I sent over our ideas for the journey. What do you prefer in terms of transport? The easiest way is flights, train and bus. You can also rent a car. Yet, when renting a car in Europe, crossing borders is still a bit “complicated” with a rental car. Some car rentals charge extra, others do not even allow. As for budget, I would calculate 300€ per day. 120€ for accommodation, 80€ for food and 50-100€ entertainment and transport. A rough average of course. Some people can also travel on 50€ per day, on a budget obviously. My husband and I are planning to travel to Eastern Europe from NYC this December for 2 weeks. We have wanted to explore Prague, Vienna, Budapest, and Poland just to name a few. I would love suggestions for itinerary, It’s our first time traveling to Europe. From NYC you should find some great deals to get to Europe, like London, Paris and Madrid. Do you have already your flights? I sent you over our suggestions for itinerary. Such a great post! I was about to change my mind about heading to Europe in winter because it seemed like most places were closed. Could I also get your ideas and help with an itinerary for a couple heading to probably Berlin, Budapest and Zagreb from 19 Dec – 30 Dec? Anywhere else we should consider? We have been to Prague, Salzburg, Venice, Amsterdam, Greece and Spain before though. Thanks! Your article is great. We are looking at honeymoon destinations from the end of January 2019 for about 3 weeks. Would you be able to send me some ideas and budget. Trying to convince my Fiance that Europe is not too expensive. Your help is greatly appreciated. Im planning a trip with my partner from 25 dec 2018 – 1 jan 2019 (8 days). We would like to visit places that are romantic with good food. Was considering budapest + plaque, or perhaps you might have any other recommendations and an itinerary? Your post is awesome! I am planning to travel in Europe this coming December during the Christmas break. Do you mind sending me some itinerary for reference? Thank you very much! I’m planning for a three weeks winter Europe tour during this December. I like to have your recommendation for the itinerary and the budget. Can you sent me the email. I appreciate your advice. Thanks you. It’s our first time in Europe! Our must see countries are Italy, France, Germany, Spain, and Switzerland. We live landscape and nature. Do you think you can help give us some ideas and budget? Thanks so much! My partner and I are planning to head up to Europe between Dec to January later this year around 5 weeks. Could you please kindly share your itineraries and suggestions/ideas? We are still thinking about which cities to visit. There are so many great ones and not enough time! I’m planning my journey for February , and spend three weeks. I’d like to know the requirements and itinerary, also expenses, as well. I appreciate your soon answer. Can you please help to clarify my doubts which place I should chose. I am open for other places if you can. I want to break-free and enjoy the best music, crowd, food & drinks for these 3 days (12/Jan to 15/Jan). Look forward for your advise. Both cities, Berlin and Budapest, are awesome for the nightlife!! Both have a great music scene, fun bars. If you are into techno and electronic music, Berlin is the #1 place. If you like more rustic, crazy bars, Budapest is fun. Budapest is also cheaper, if that’s a criteria! Hi- I’m a solo traveller (23yo) going just to Eastern Europe 12/19/2017 to 1/15/2018 (celebrating Christmas and New Year’s) I would appreciate itinerary suggestions and any ideas also. Do you mind to send me the email as well for your itinerary? Hi! I am planning to go to Europe celebrating Christmas and New Year. Do you mind to send me the email as well for your itinerary? Thank u so much. I highly appreciate your advice. I’m planning my journey for January, and spend three weeks. This is Wonderful! Thank You so much for All these Exciting Places! I am thinking about going to Europe the first week in December, just for about 6 days leaving from Dublin, Ireland, want to explore as much as We can, what would Your suggestions be. Would greatly appreciate it! Hi there! your website is great! I will too be travelling around the same time- christmas into january. At all possible to see your itinerary and expenses? Hi! I love your post! I am planning to go to Europe in mid of Dec this year until mid Jan. May I have a look at your itinerary as well as the budget for the trip? And i am still unsure to whether to take the train or flight to go from one country to another. Do you have any recommendation? Thank you soo much! I just dropped you an email! Hi! Im planning to go this December to Europe, I will spend Christmas and New Year there. Do you mind to send me the email also for your itinerary? Thank u so much. Let’s chat over there, keen to help you out with the itinerary details! I love your post! I am planning to go backpacking in the end of December this year for a month till January as well. 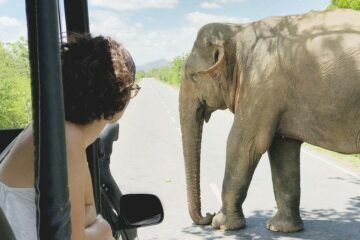 Can I have a look at your itinerary and the budget for the trip as well? Thank you! 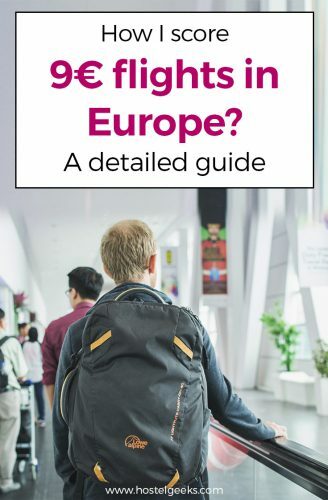 And do you know if it will be cheaper to get a travel pass for the month or just get individual train tickets for travelling between countries? Hi, I’m looking to travel between the early november to december! Do you might sending me your travel itinerary and the estimation of the whole budget?